Free Ground Shipping on orders over $300. 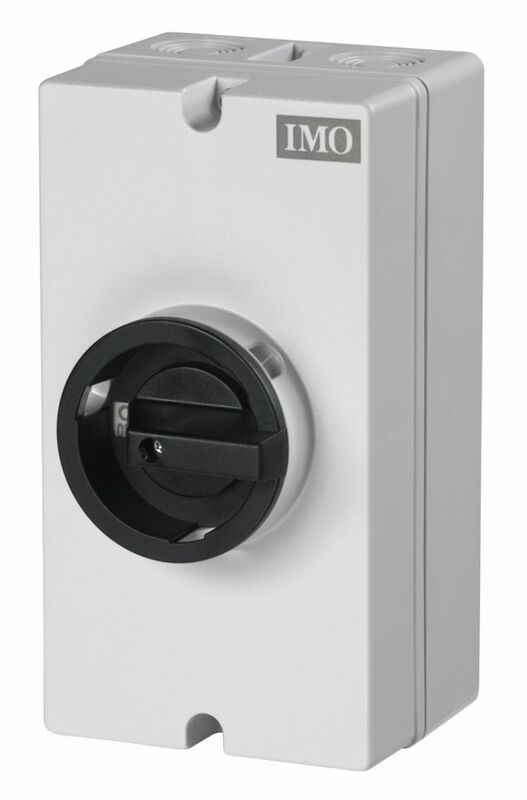 IMO Enclosed DC Switch NEMA 4X, 25A 600VDC, 4 Pole,Grey Body With Lockable Black Rotary in OFF position, UL508. For more voltage ratings, look under Technical Info TAB or see PDF. Size: 98mm X 180MM (3.86 in. X 7.09 in. We're sorry. There are no products to list in this category. IndustrialControlsDirect.com brings a personal service to the online buying experience providing you with a smarter way to meet your industrial control and automation needs. Our aim is to provide the finest quality, deliver unrivalled service and save you money. Copyright © 2019 Industrial Control Direct.